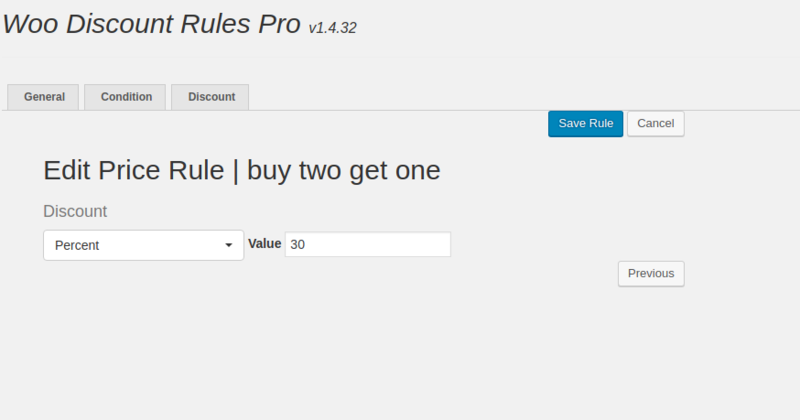 Consider there are three products in your store A, B and C. C gets a discount only if customer buys 2 from product A and 2 from Product B. 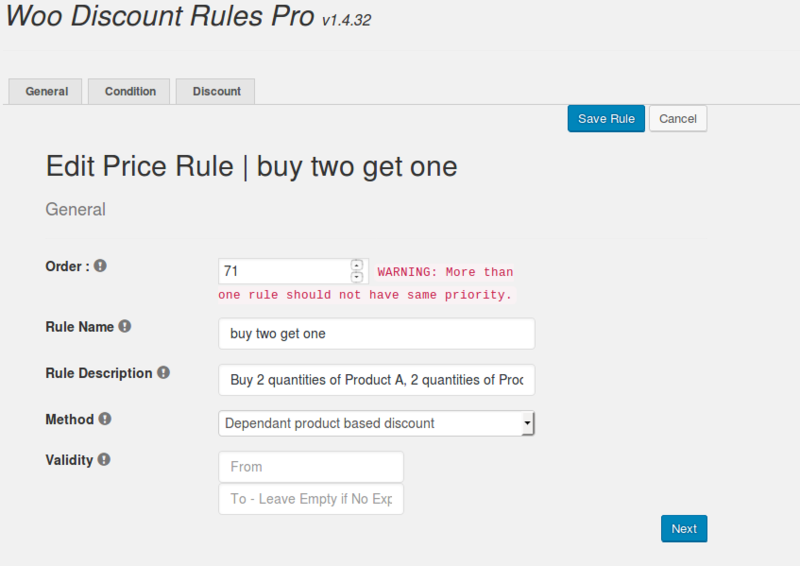 Specify a rule name and choose Dependent product based discount as your discount method. 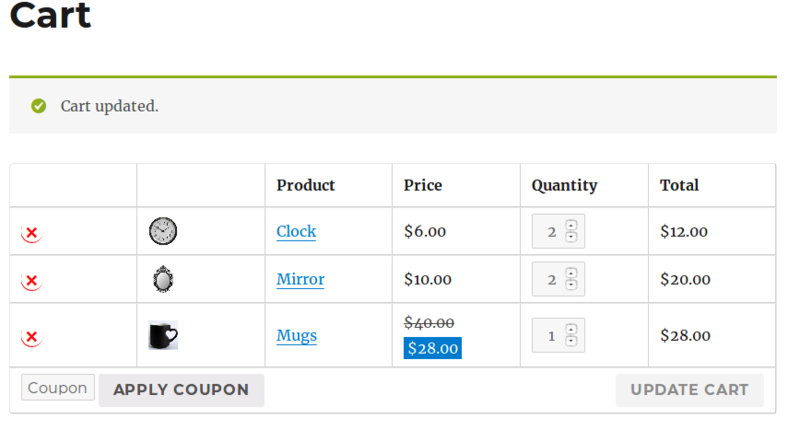 Discount condition is that, if I purchase each 2 quantities of clock and mirror, they would get a 30% discount in mugs. 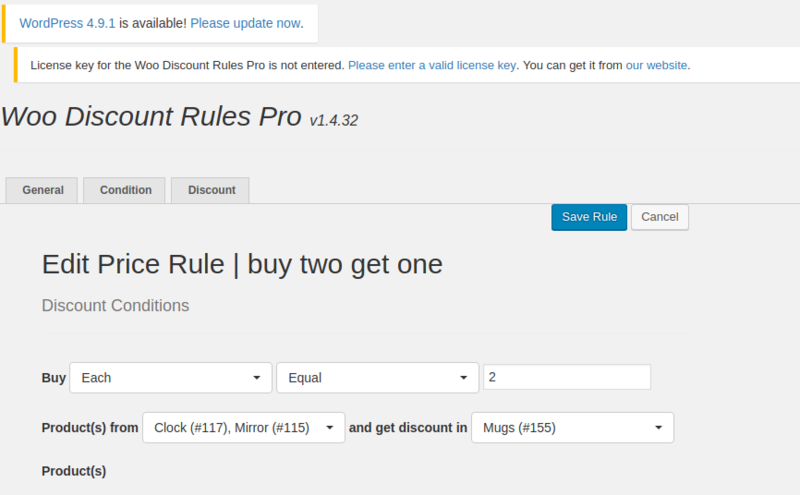 Buy each(clock,mirror) equal 2 and get discount in first quantity mug. Buy combine(clock,mirror) less than 5 and get discount in Skip first quantity mug.